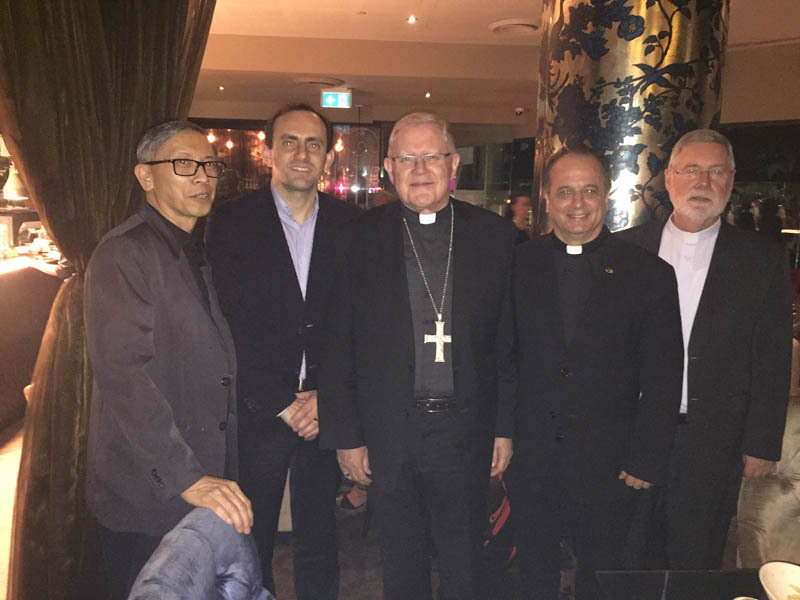 They met both the Archbishop of Sydney, Anthony Fisher OP, and the Archbishop of Brisbane, Mark Coleridge, who is also the President of the Australian Catholic Bishops Conference. 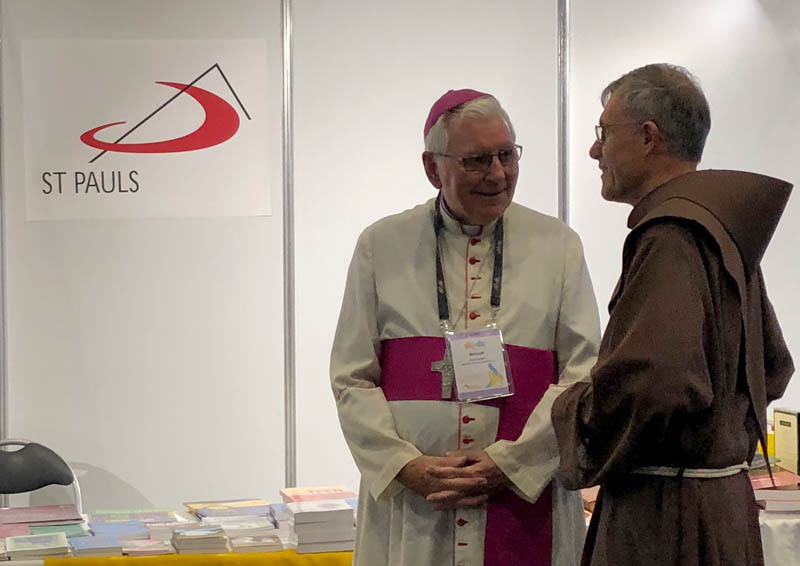 Both Archbishops expressed their gratitude for the specific service provided to the Church by the Society of St Paul, while sharing their insights into the current challenges facing the Church in Australia, including the shortage of vocations. 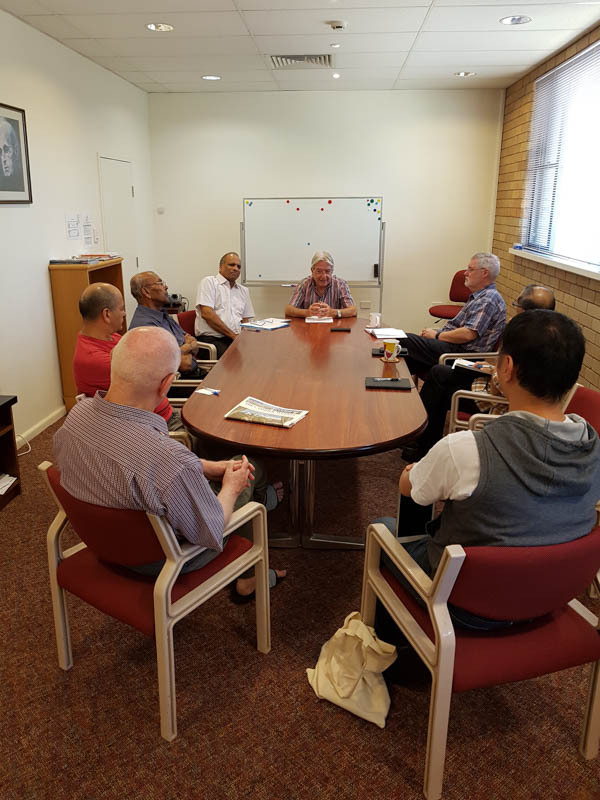 On the weekend of 15-16 December, the members, together with Fr Valdir and Br Darlei, gathered at Strathfield for an Assembly, in which they reviewed together many aspects of their life and mission. 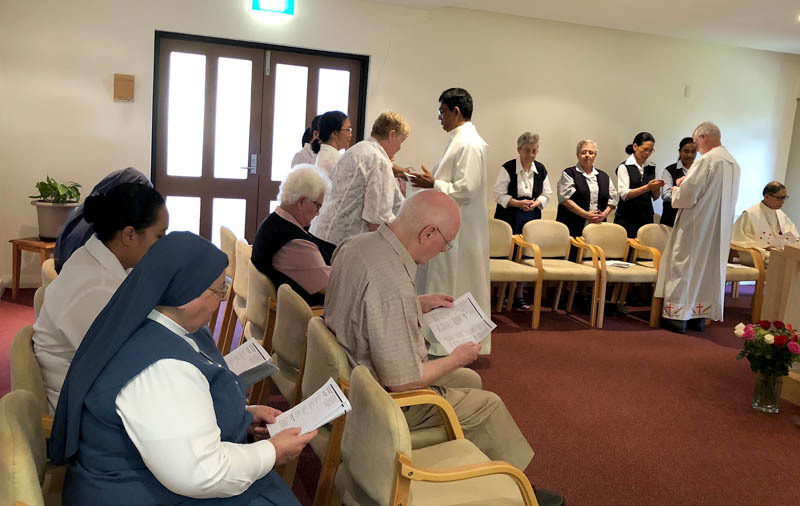 Special consideration was given to the canonical status of the Australian Region. 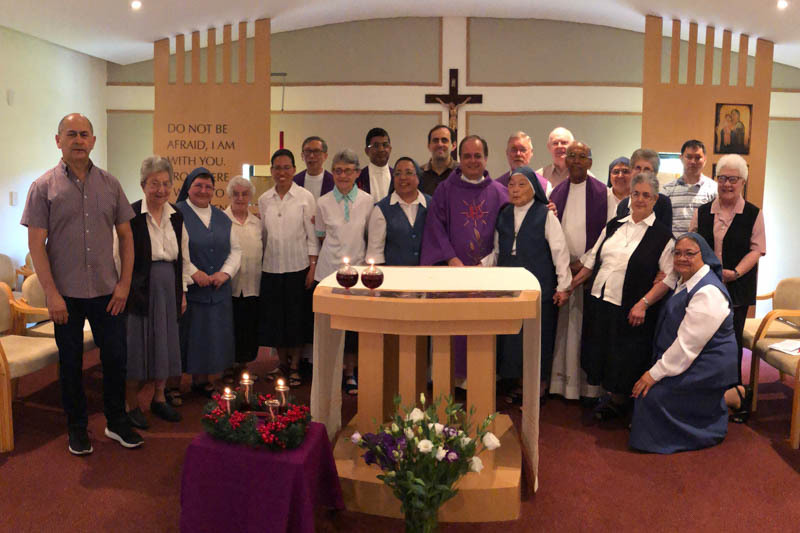 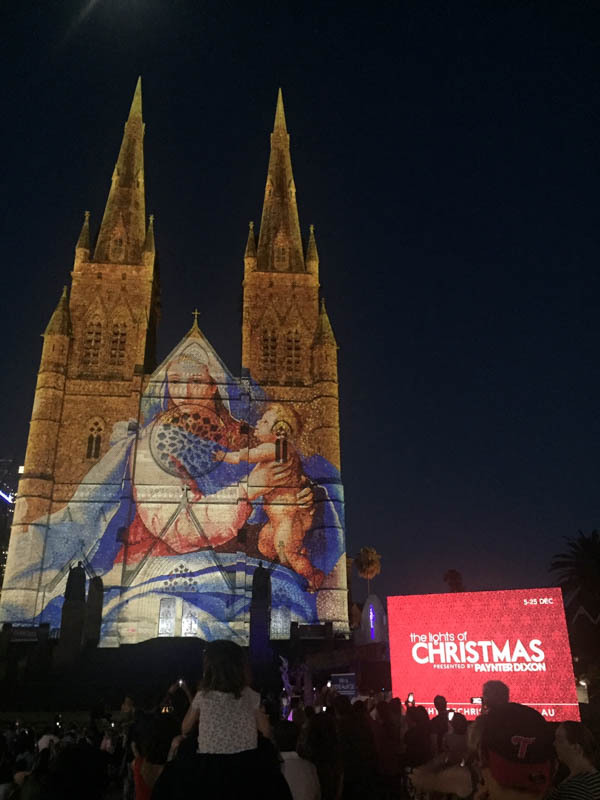 On Saturday evening they were joined by the members of the Pauline Family in Sydney (FSP and PDDM) for a Vigil Mass for the Third Sunday of Advent. 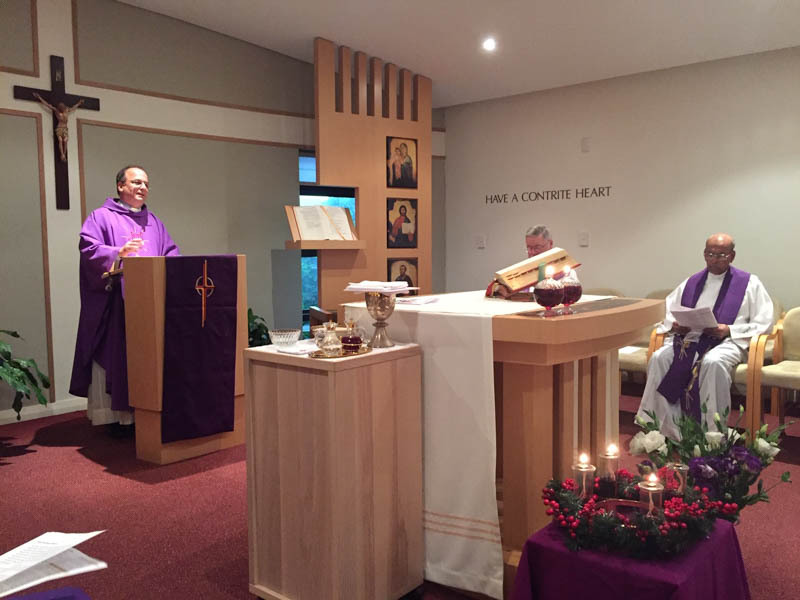 In his homily Fr Valdir took up the theme of joy – Gaudete – than ran through the liturgy. 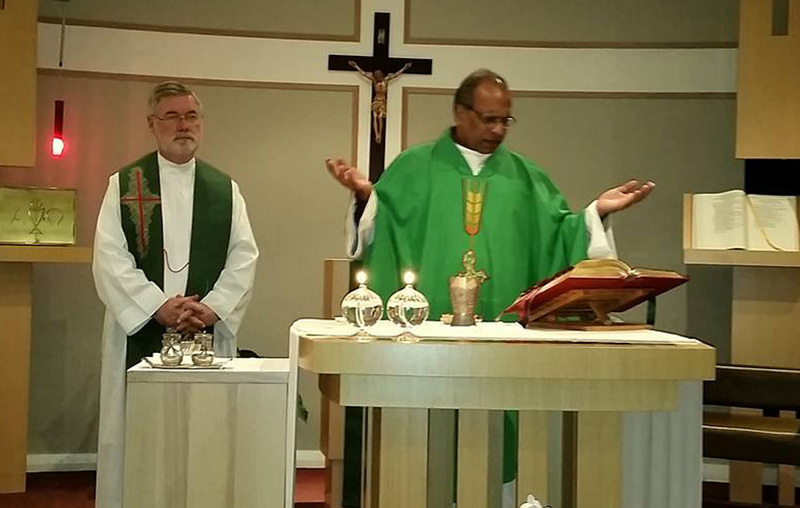 "For Christianity, joy is always an expression of great trust," Fr Valdir said. 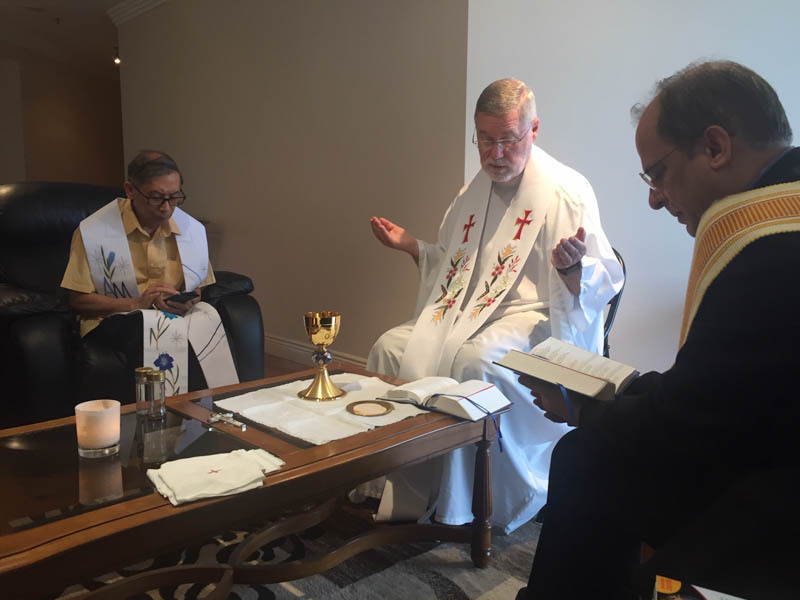 "The passages of the word of the Lord of this Liturgy help us to grasp the secret root of this joy and at the same time its lifeblood. 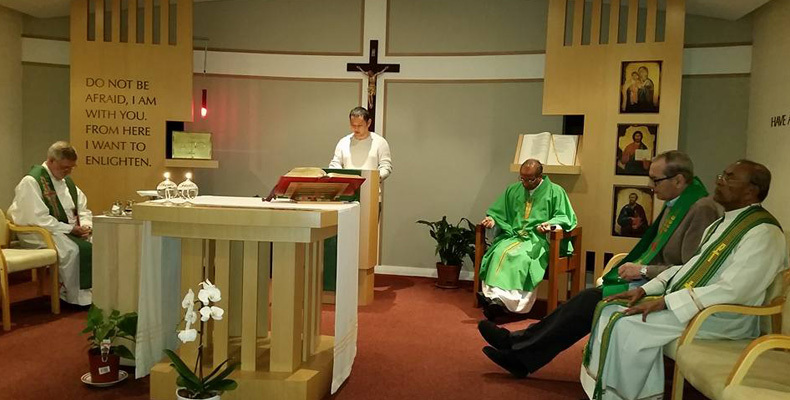 The root is provided by the incontestable certitude that the Lord does not abandon his people." 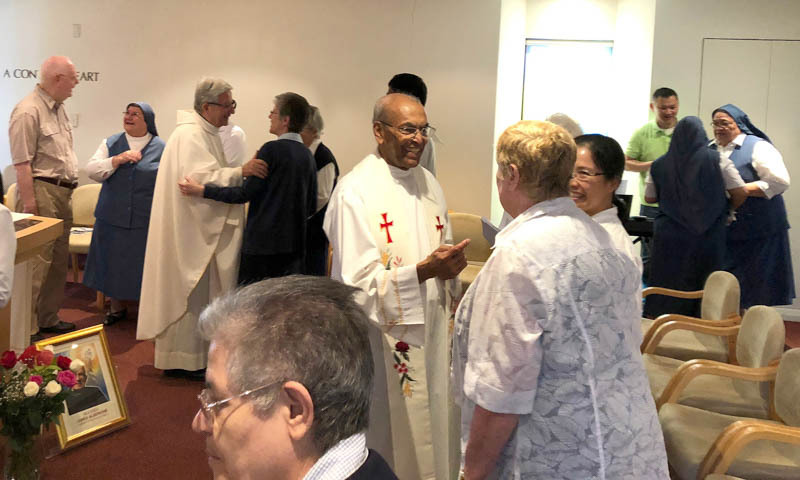 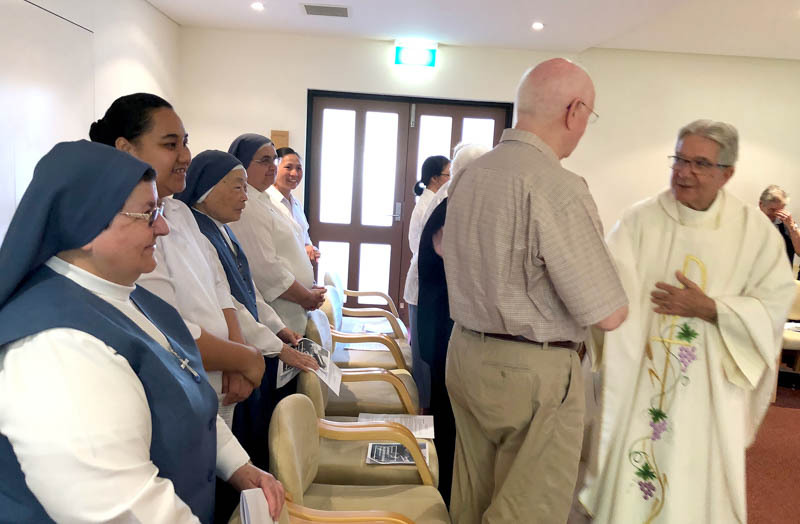 He noted that "there are many challenges in the work of evangelization in Australia, in this current historical moment of trial for the Church and for Consecrated Life. 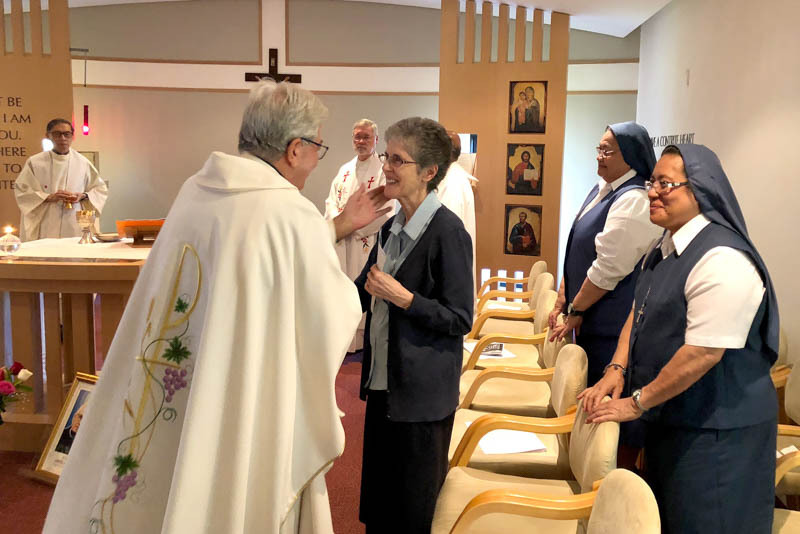 This is a moment that requires of us also, the Pauline Family, an ‘heroic' witness of faith and love." 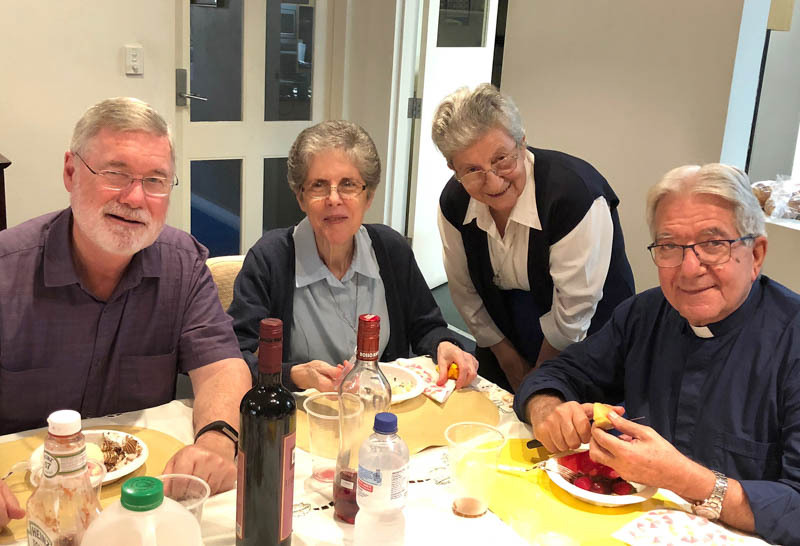 The joy permeating the liturgy continued afterwards as the Pauline Family joined Fr Valdir and Br Darlei for an Aussie bar-b-que (including grilled Kangaroo meat!) 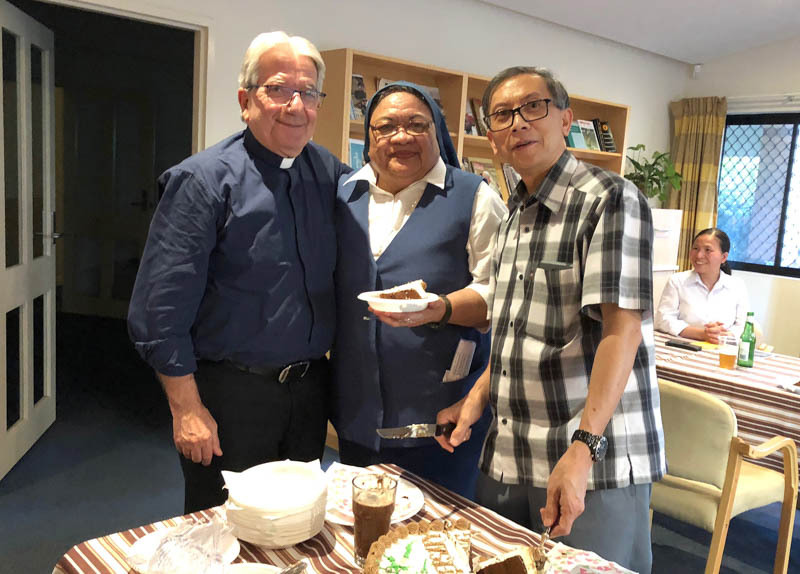 and social gathering. 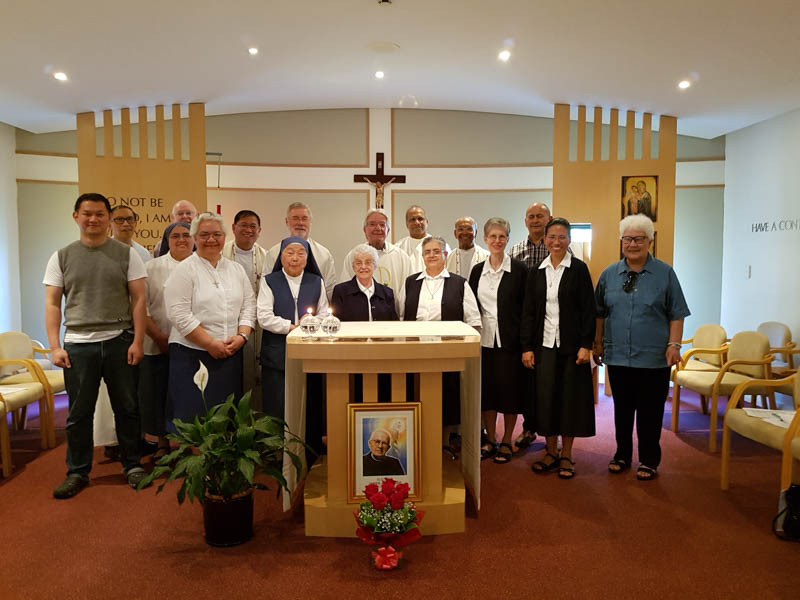 The members in Australia are grateful for the visit of the Superior General and Br Darlei to the circumscription most distant (in kilometres) from the General House, but near in spirit and in heart. 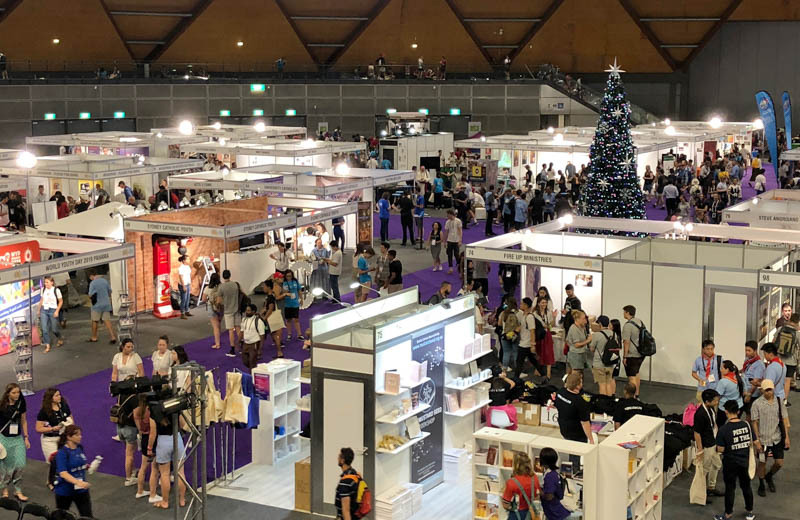 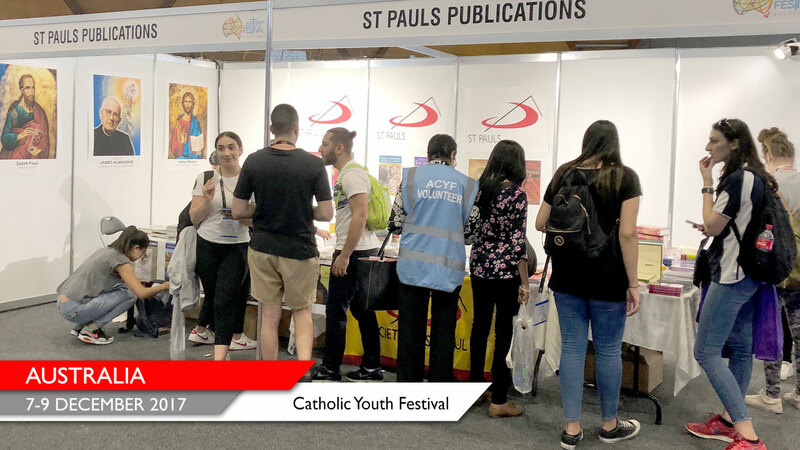 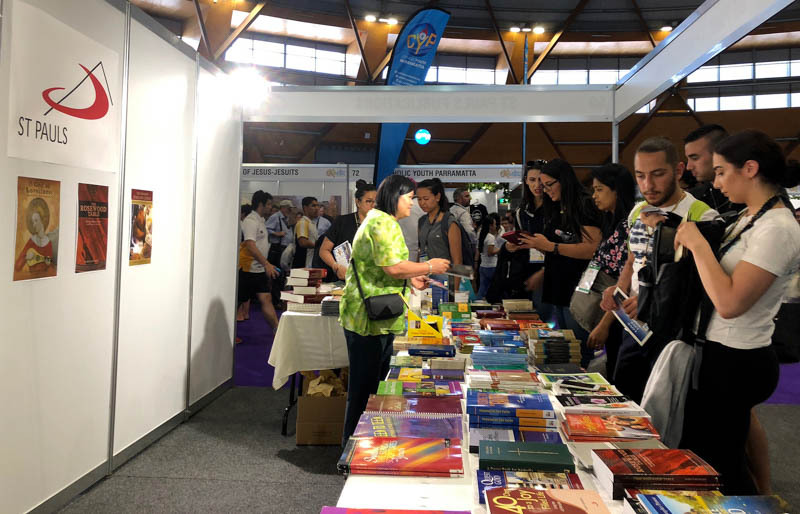 From 7-9 December, some 20,000 young Catholics descended on the Olympic Park in Sydney, Australia, for the Australian Catholic Youth Festival. 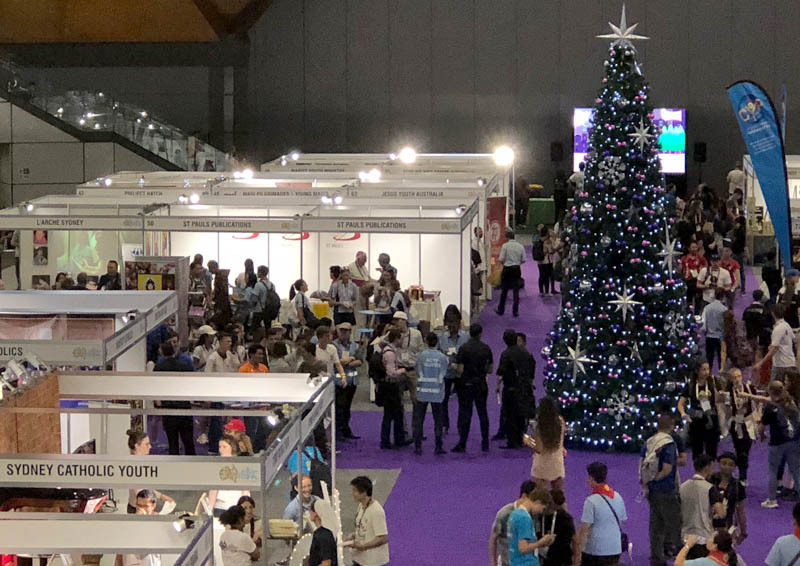 The days were filled with presentations from local and international speakers, workshops, music, fun and games. 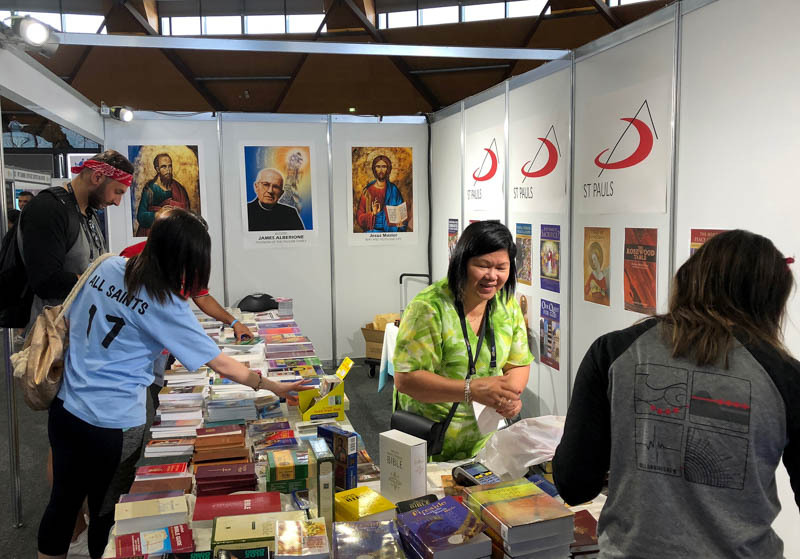 Accompanying the event was a giant Expo in which many Church groups, ministries and activities had displays. 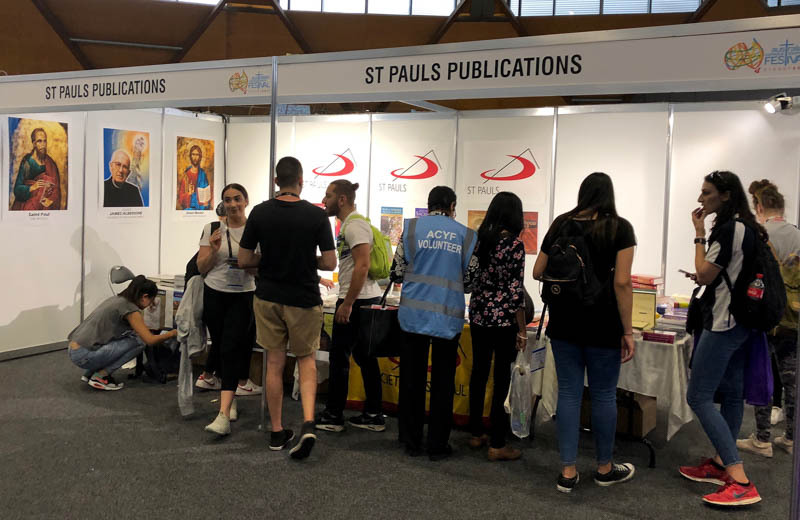 Many religious congregations were also present promoting vocations. 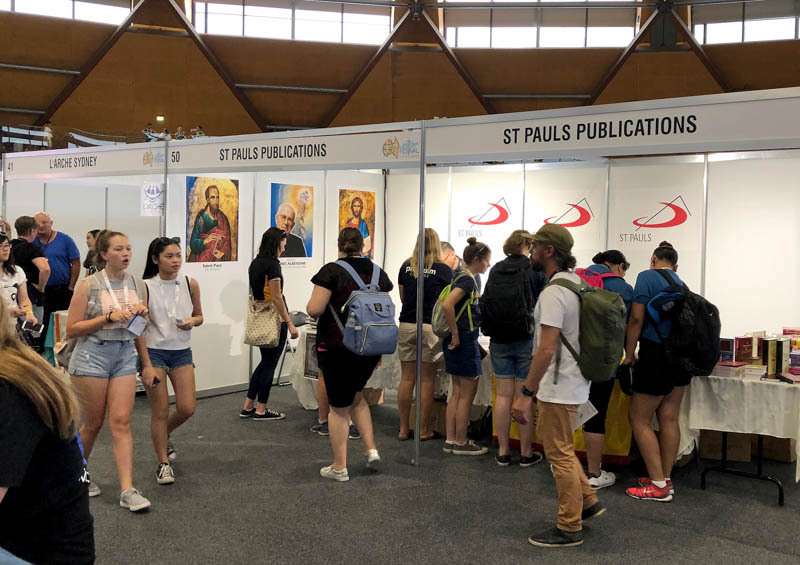 The Society of St Paul had a large exhibit at the Expo, presenting both our products and our vocation and spirituality. 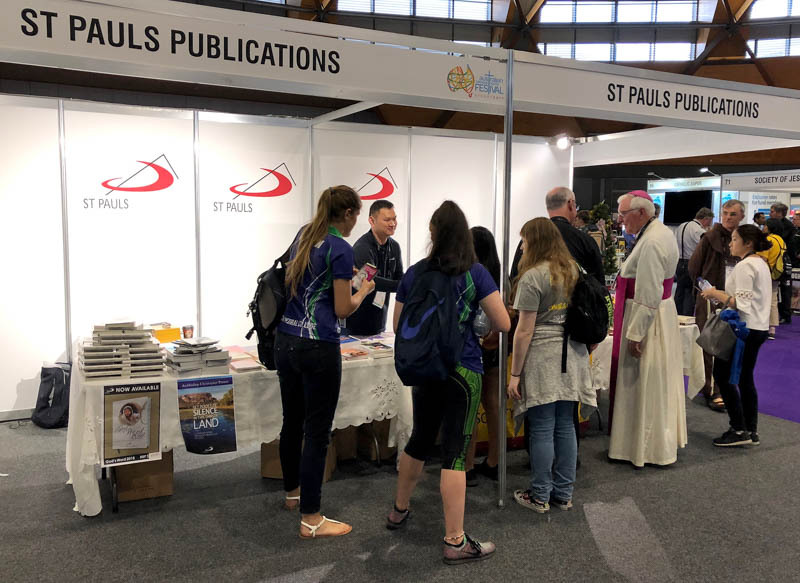 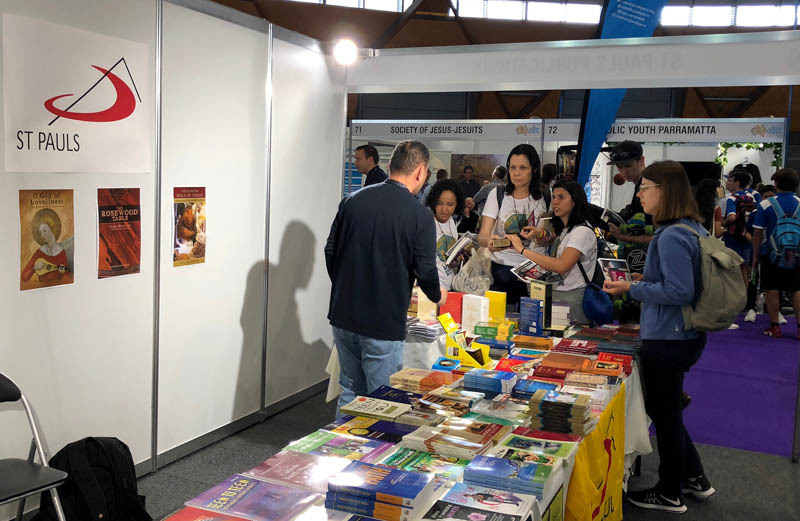 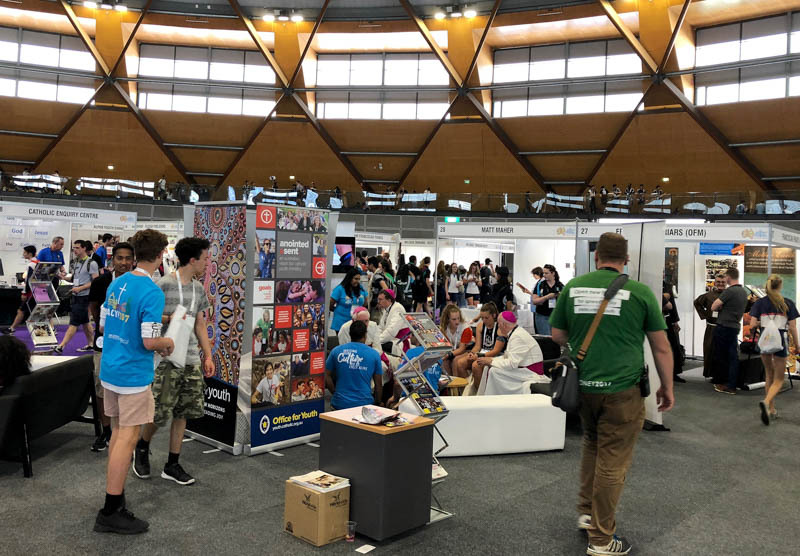 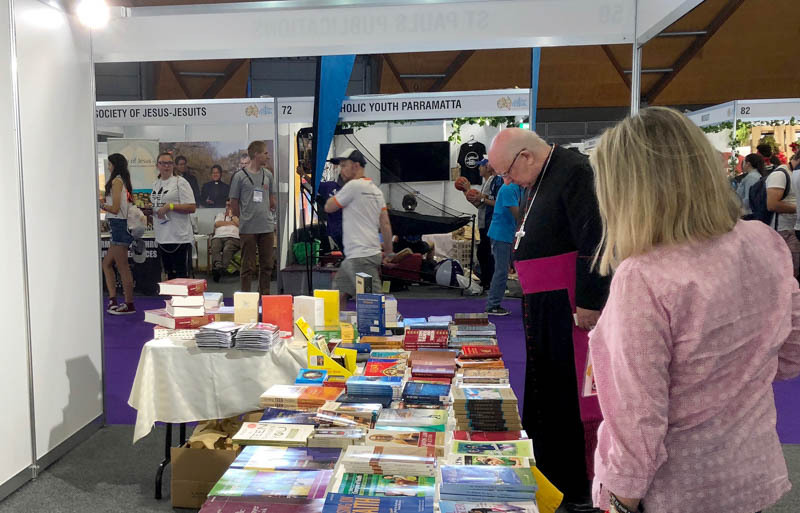 Our stand was non-stop with visitors for the three days, as young people, youth leaders, priests, religious and bishops, all stopped for a visit. 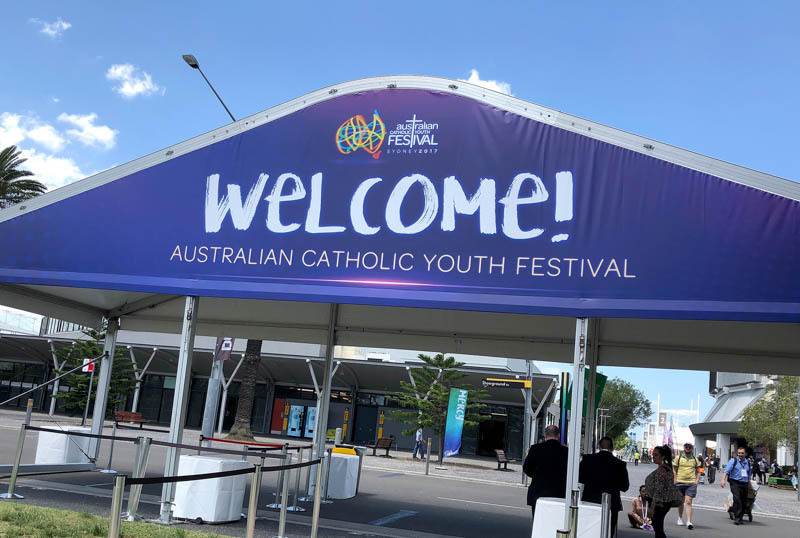 The Youth festival concluded with a large outdoor Mass in Sydney’s Domain, just near St Mary’s Cathedral. 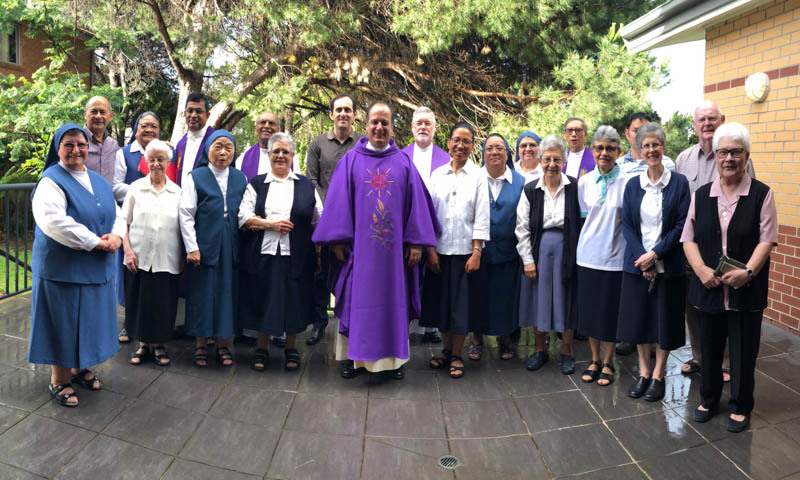 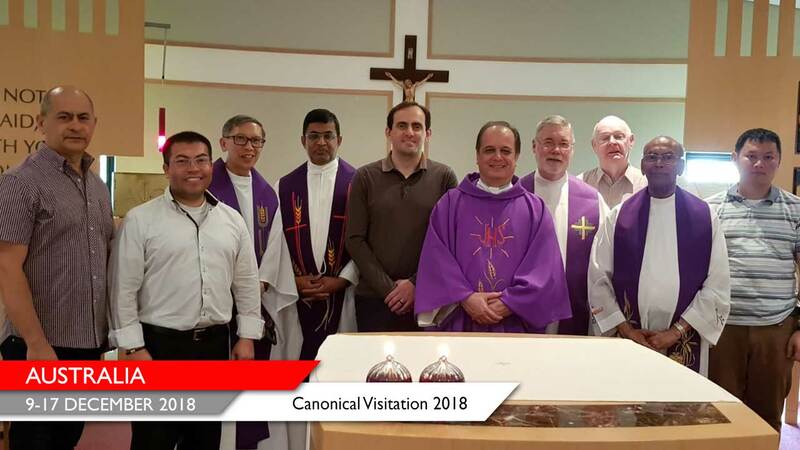 From 18-28 November, the Vicar General, Fr Vito Fracchiola, and General Councillor, Fr Jose Pottayil, have been conducting the canonical visitation of the Australian Region. 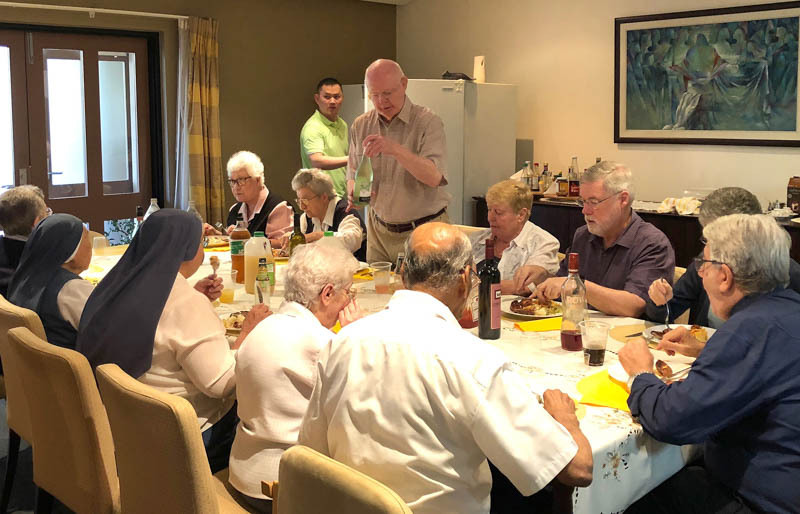 The visit has given them the opportunity to meet individually with each of the members as well as with the Finance Team and the Apostolic Advisory Team, to evaluate the community and apostolic situation of the Region. 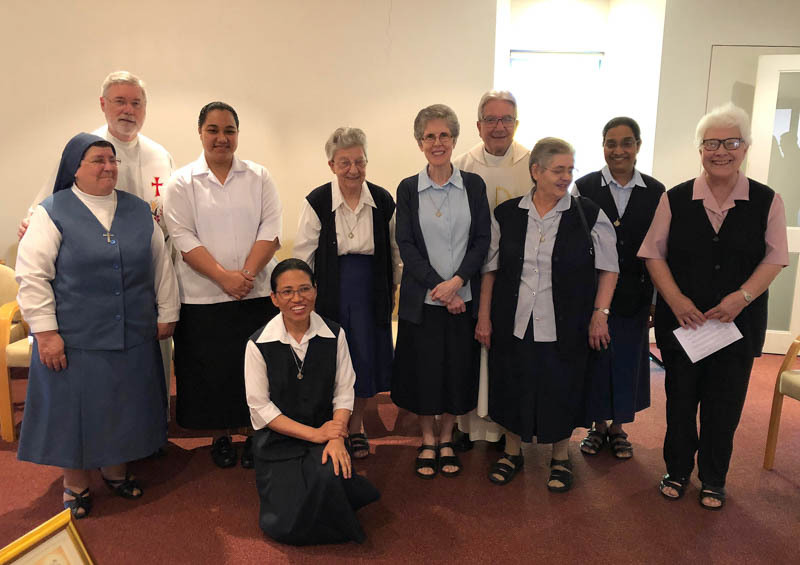 While they spent most of the visit in the principal house of Strathfield (Sydney) they also visited Brisbane where we operate a book centre and have a small Pauline presence. 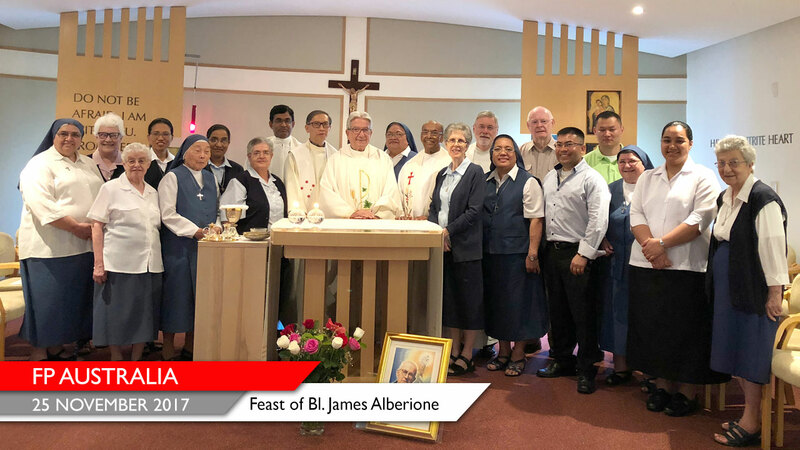 A highlight of the visit was the celebration of the feast of Blessed James Alberione with the Pauline Family in Sydney on Saturday, November 26. 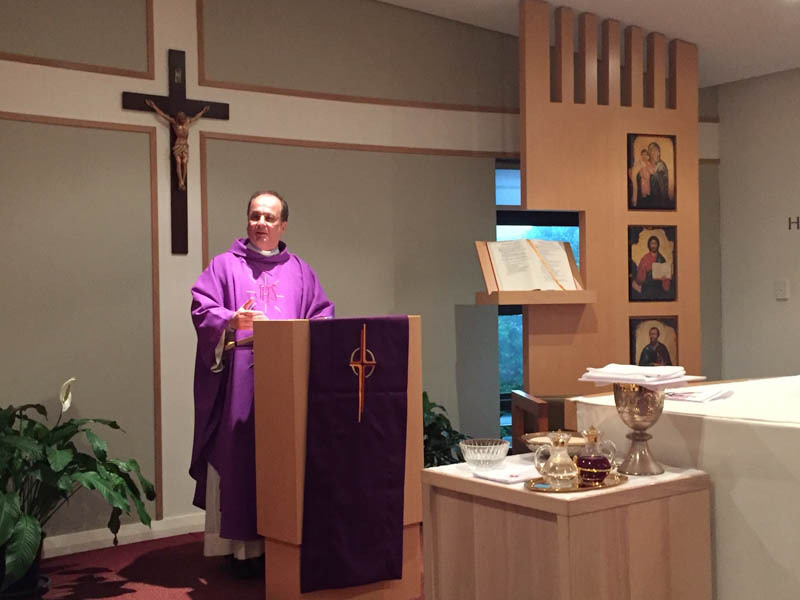 In the morning Fr Vito gave a presentation on "The Pauline family 'St Paul Alive Today': A Unique Spirituality for Converging Apostolates." 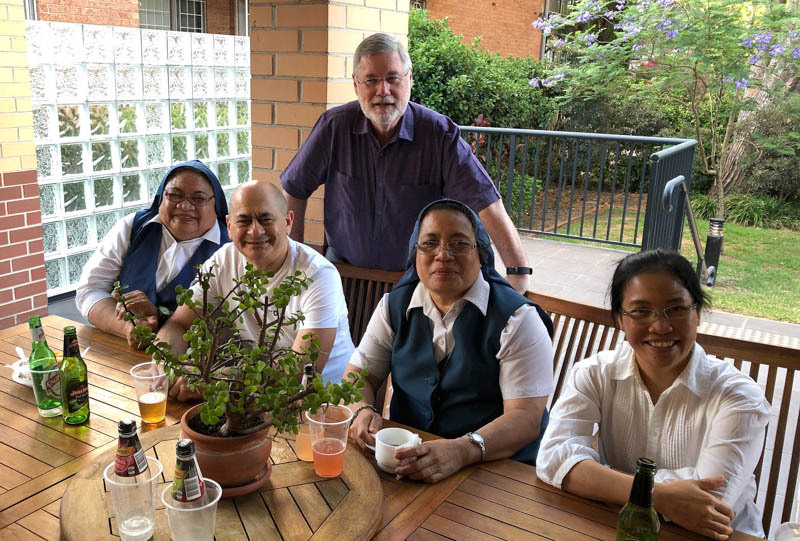 In the afternoon, Mass for the feast was celebrated followed by an Aussie bar-q-que. 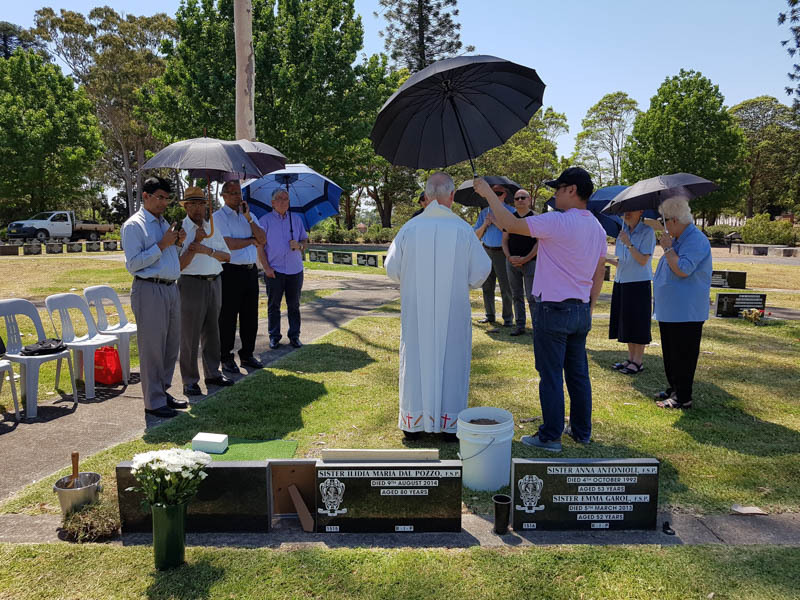 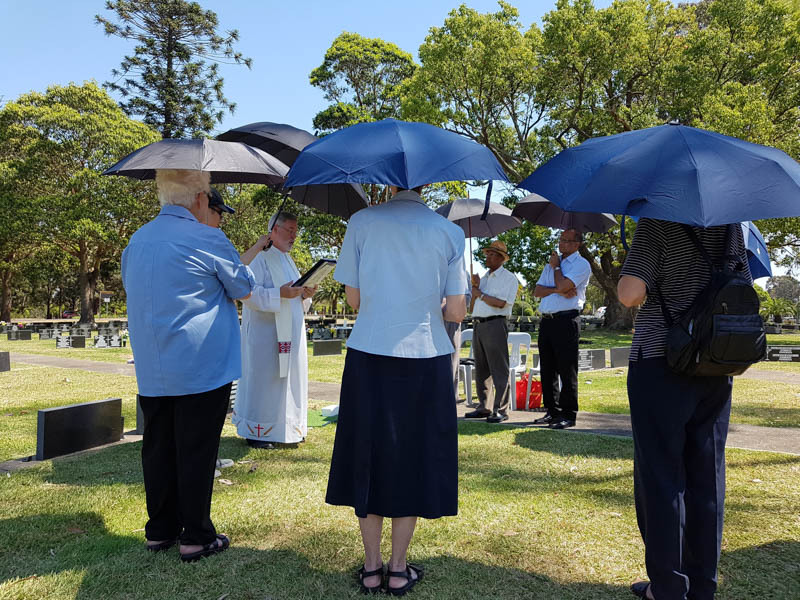 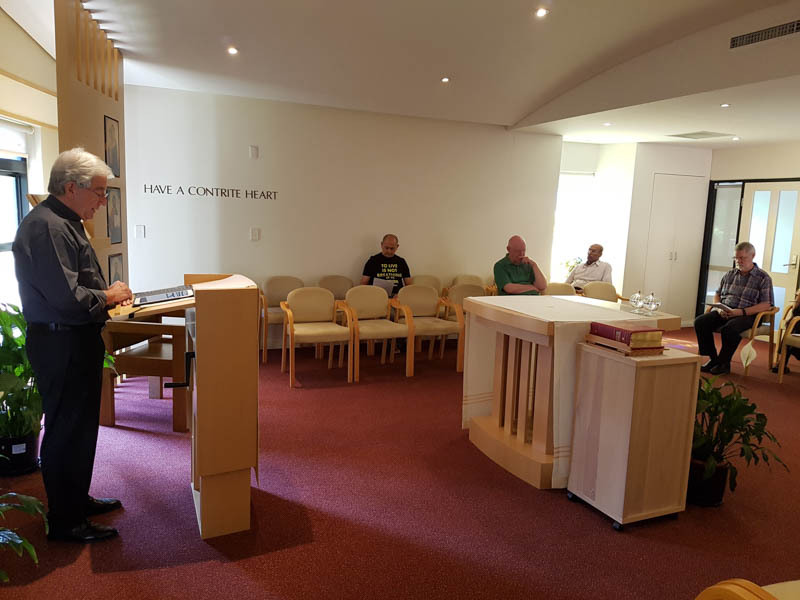 With the members of the Australian Region gathered for the visitation, it was also an opportune moment to inter the ashes of Fr Ruben Nadalich SSP in the Pauline family section of Rookwood cemetery in Sydney. 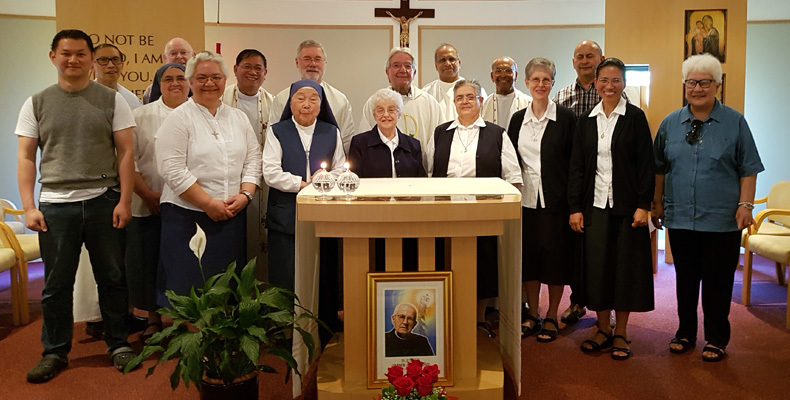 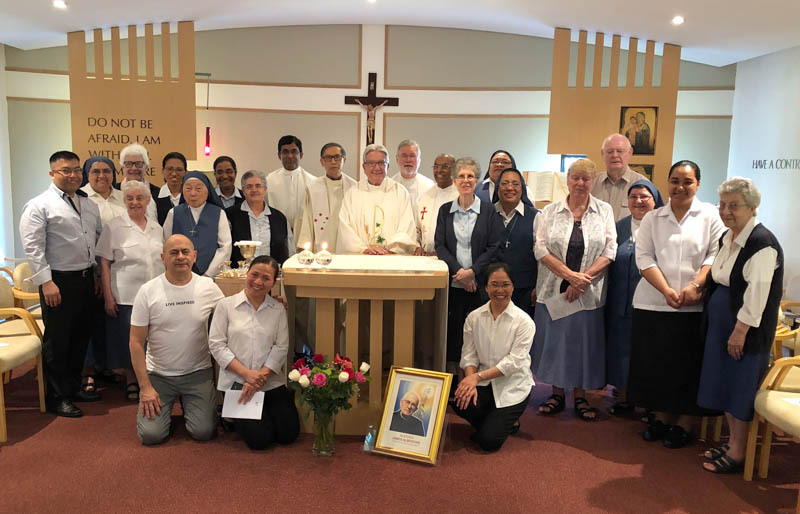 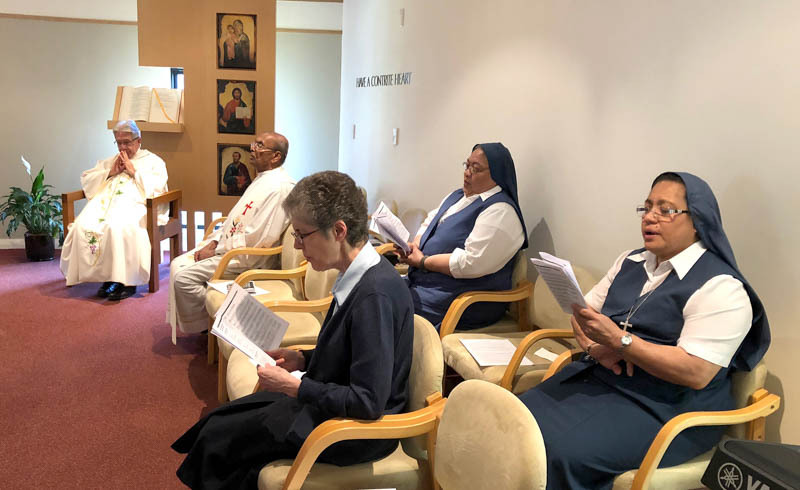 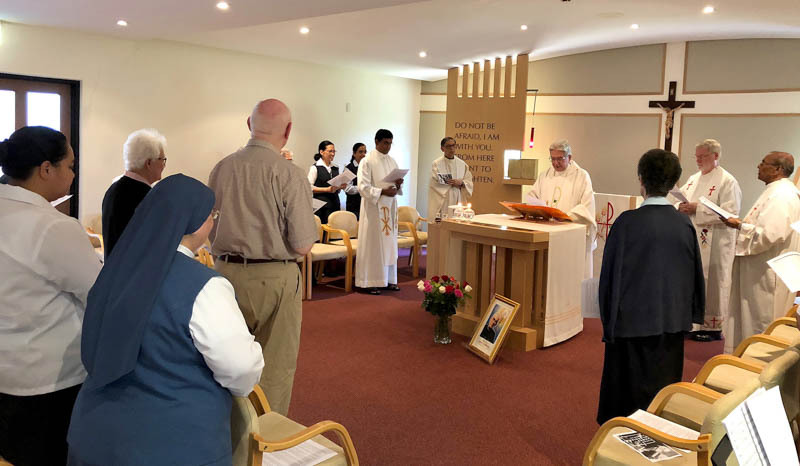 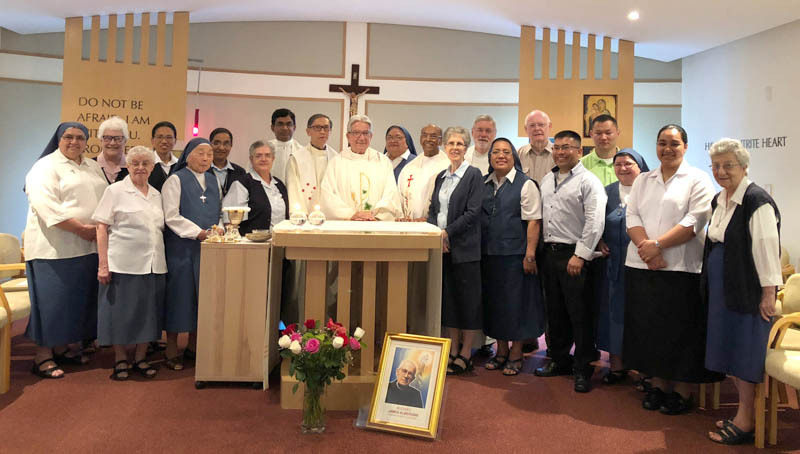 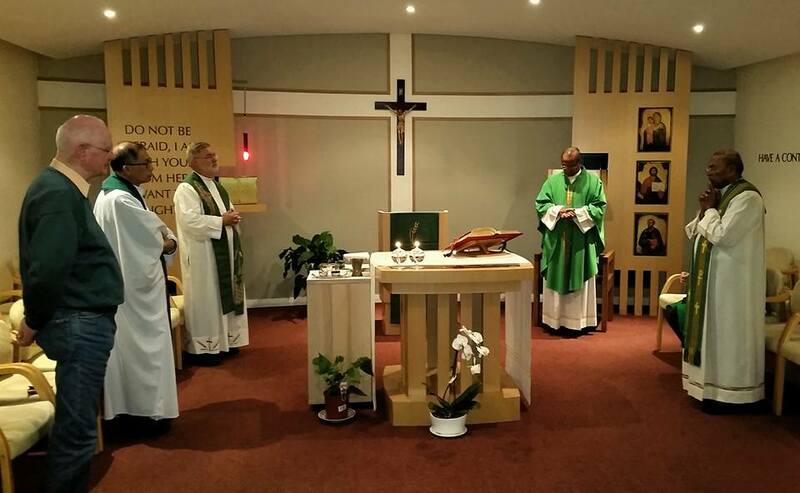 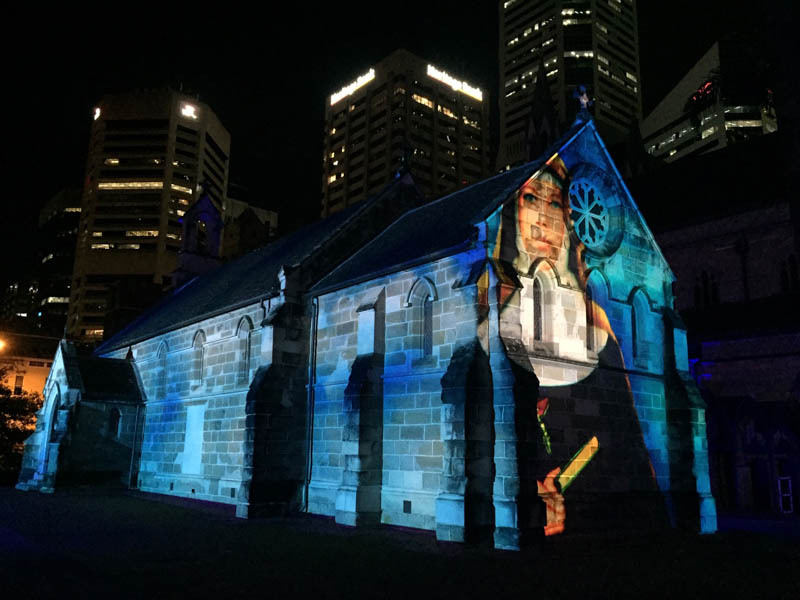 The Pauline Family in Sydney, Australia, came together on Saturday, 25 November, to have a Vigil celebration of the feast of Blessed James Alberione. 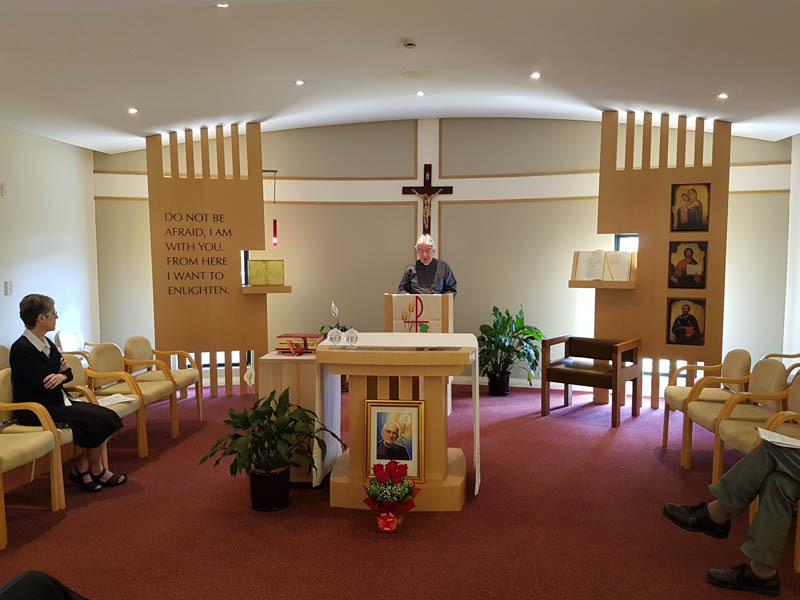 The principal celebrant of the Mass, which was celebrated in the Chapel of the Society of St Paul, was Fr Vito Fracchiolla, the Vicar General of the Society of St Paul, who is in Australia for a canonical visitation. 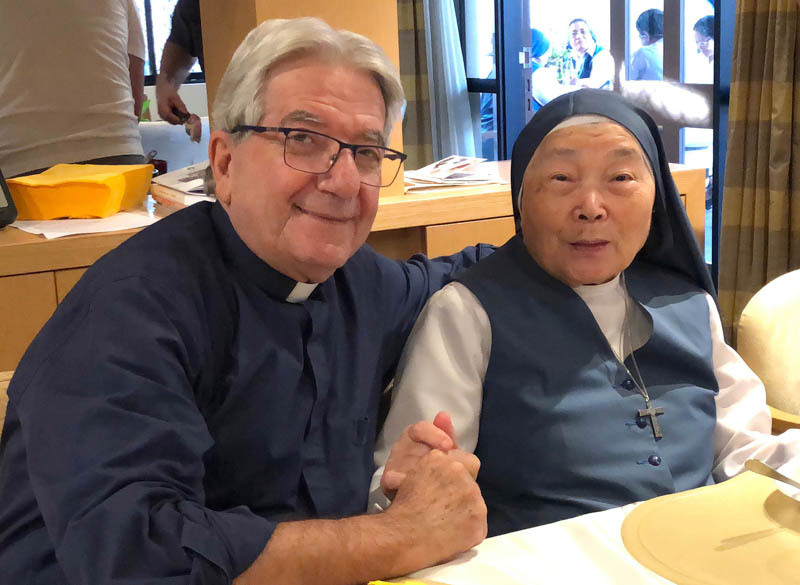 In his homily, Fr Vito invited the congregation to reflect on the words spoken by Jesus to Phillip: ‘Have I been with you all this time and you still do not know me?’ These words challenge us as Paulines to consider how well we know Alberione, and how well we reveal and reflect him in our lives. 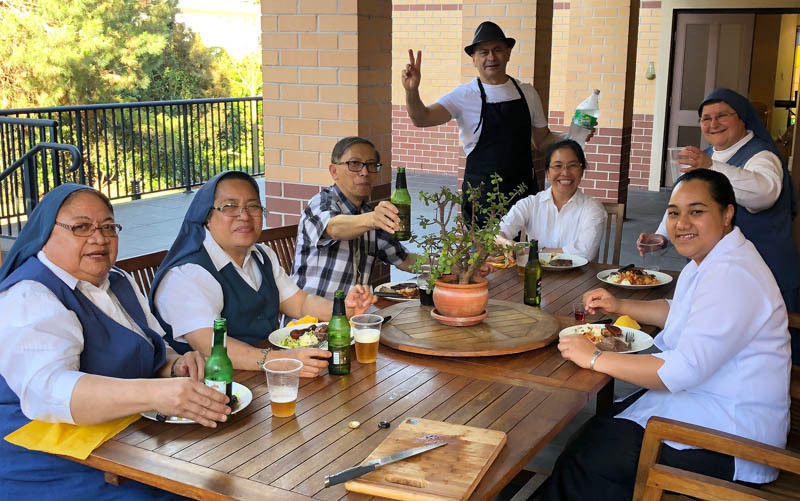 A celebration followed the Mass, in the form of an Aussie bar-b-que. 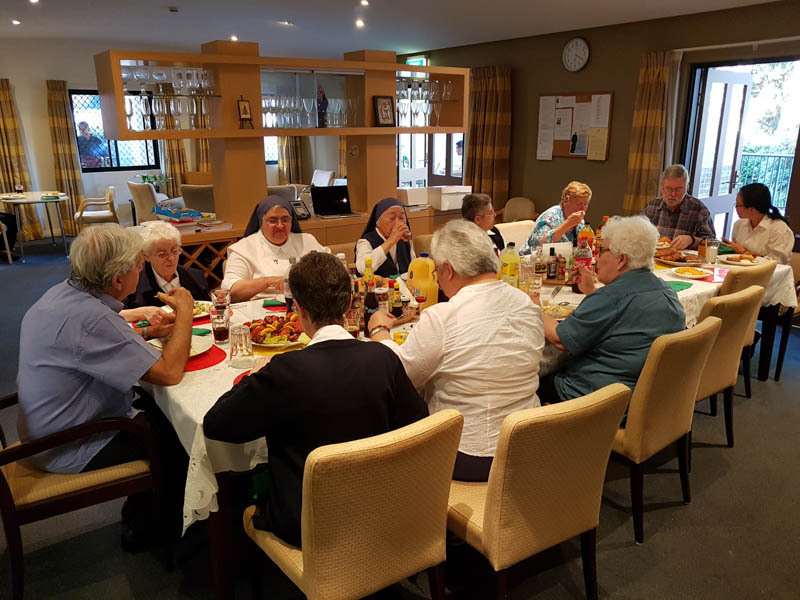 Summer has now arrived and all present could enjoy the outdoors and the long hours of daylight. 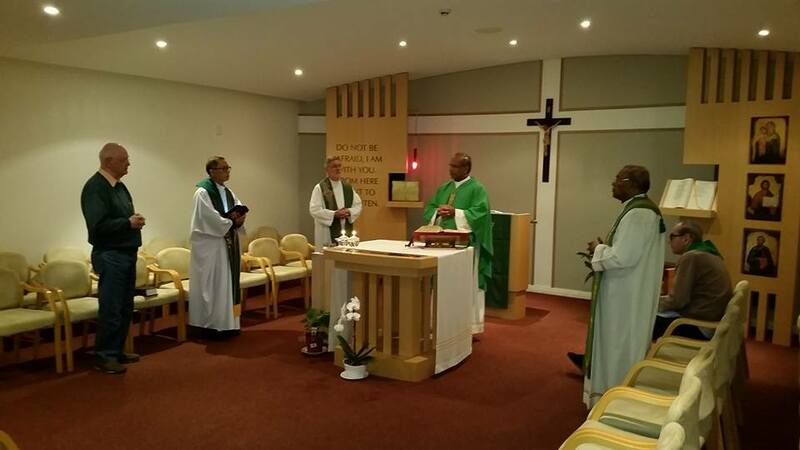 General Councillor Fr Jose Pottayil is visiting the Australian Region from May 24 to June 3. 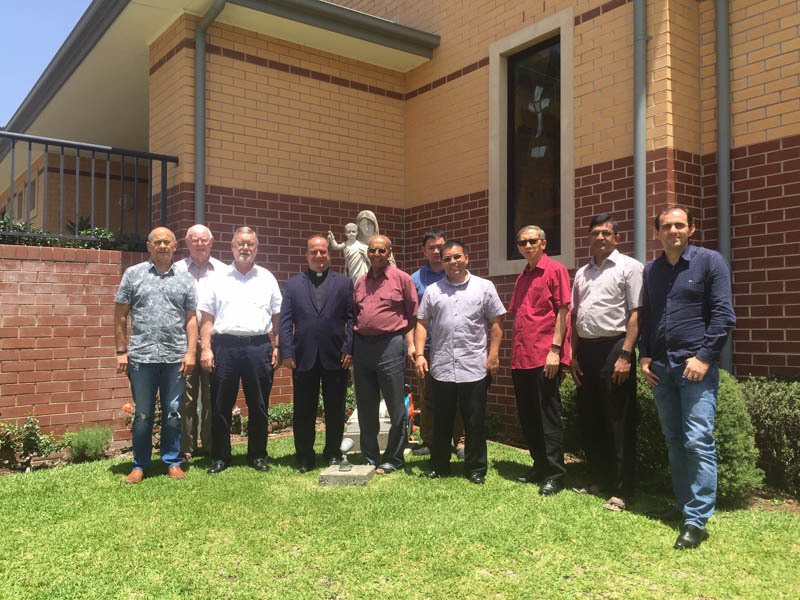 The purpose of his visit is to accompany the Australian Region as it undertakes a 12-month review of its structures, community and apostolate. 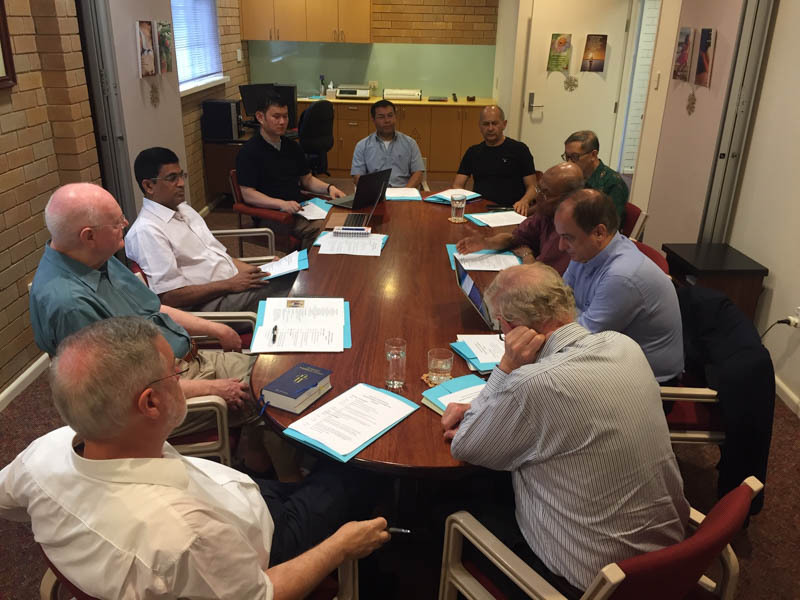 A three-day meeting of members took place from May 26-28. 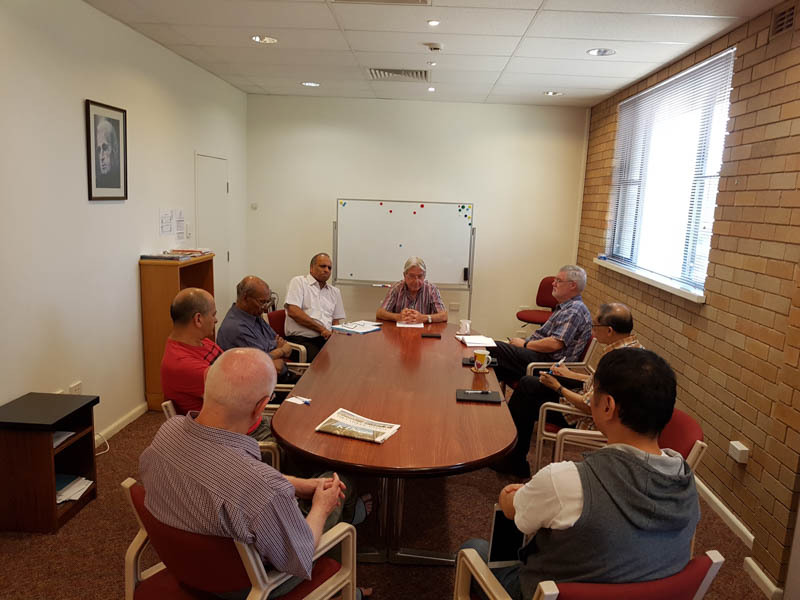 On the first day a Columban priest, Fr Noel Connolly led a workshop on living as a multicultural community. 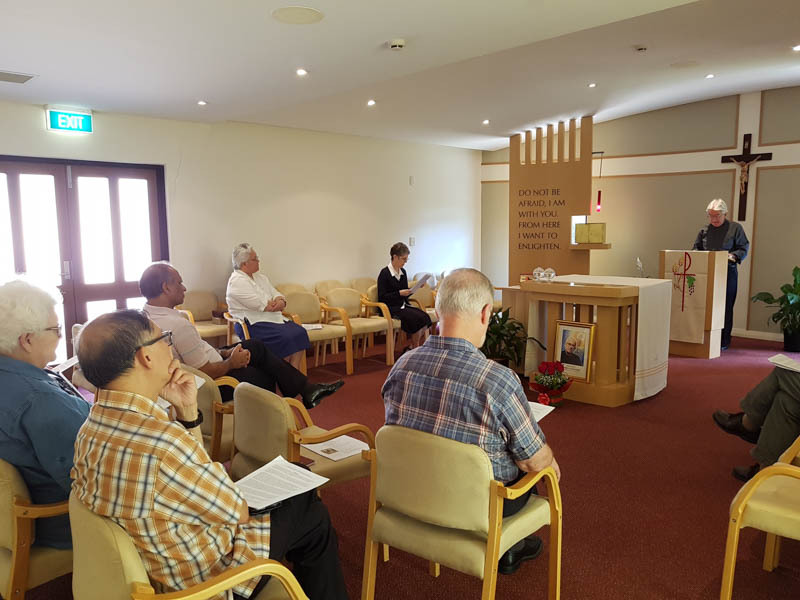 The workshop helped us to see how well situated the congregation is to serve the multicultural Australian Church and community. 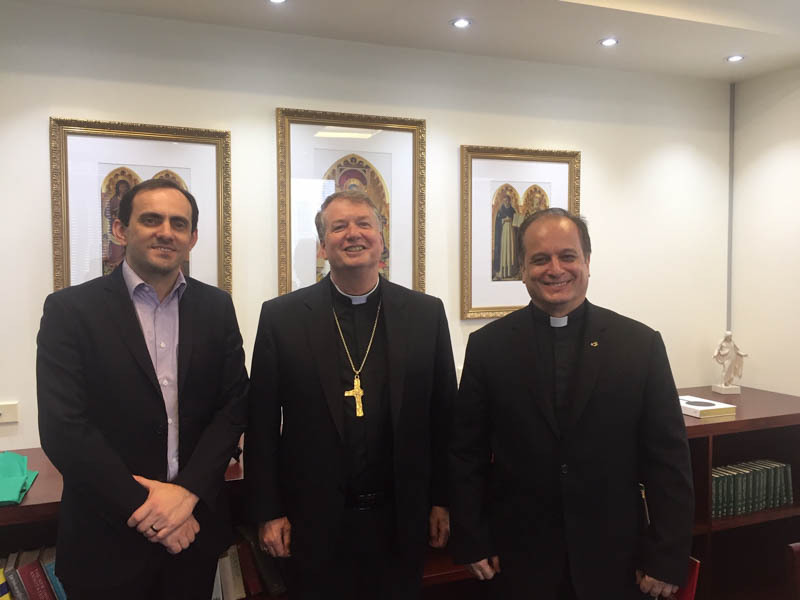 The following two days were taken up with a review of progress made in realising the Action Lines agreed upon during the meeting with the Superior General, Fr Valdir De Castro, in February of this year. 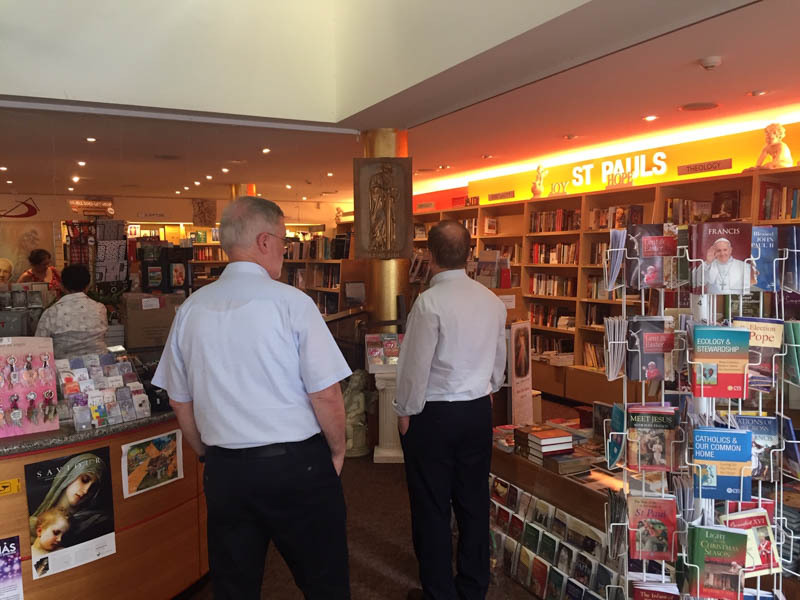 Following the meeting Fr Pottayil traveled to Brisbane with the Regional Delegate, Fr Michael Goonan, where he was able to observe the progress of St Pauls Book Center located in the heart of the city besides St Stephen's Cathedral. 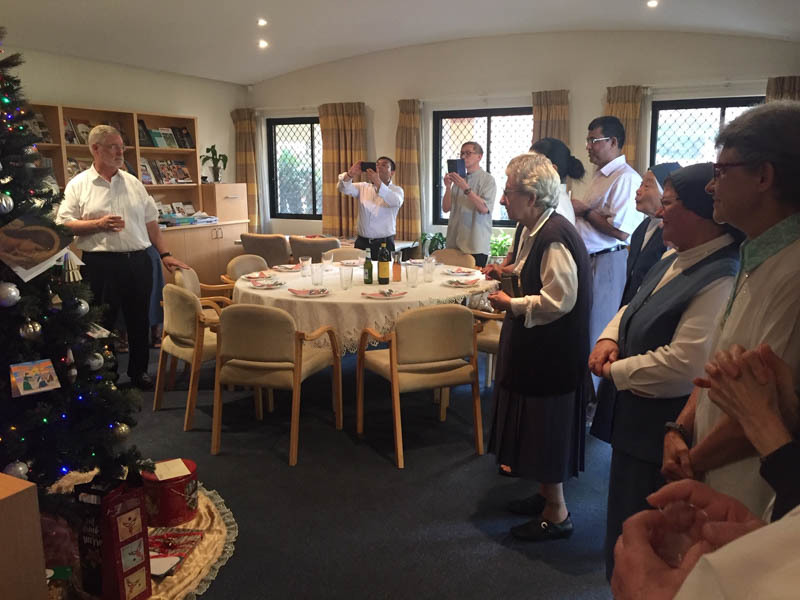 We have just celebrated the twentieth anniversary of our book centre apostolate in Brisbane. 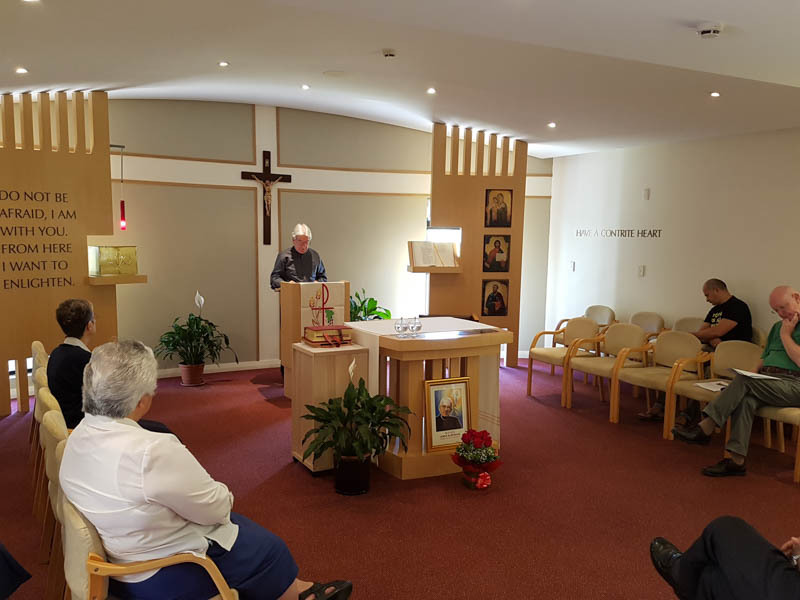 Earlier he had also been able to visit our newer book center in Parramatta, west of Sydney, to observe its progress as it nears the end of its third year of operation. 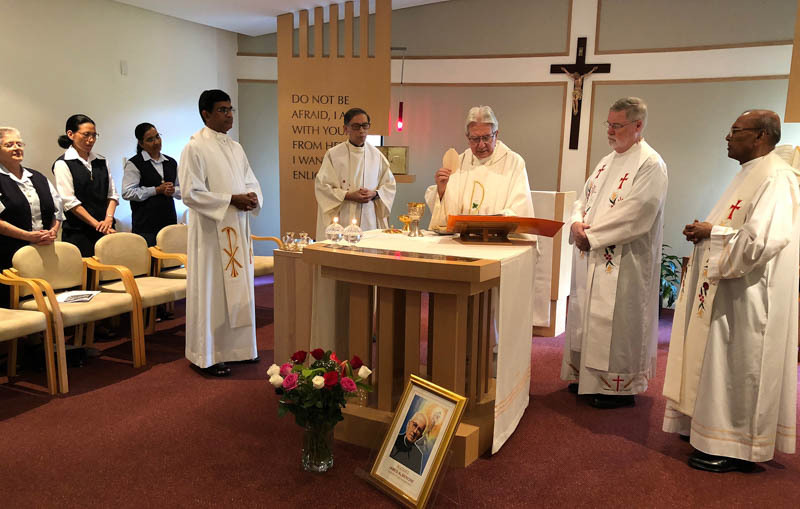 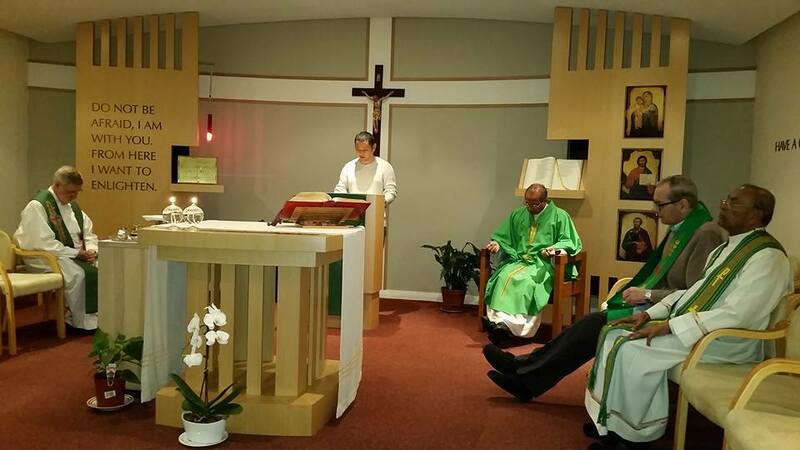 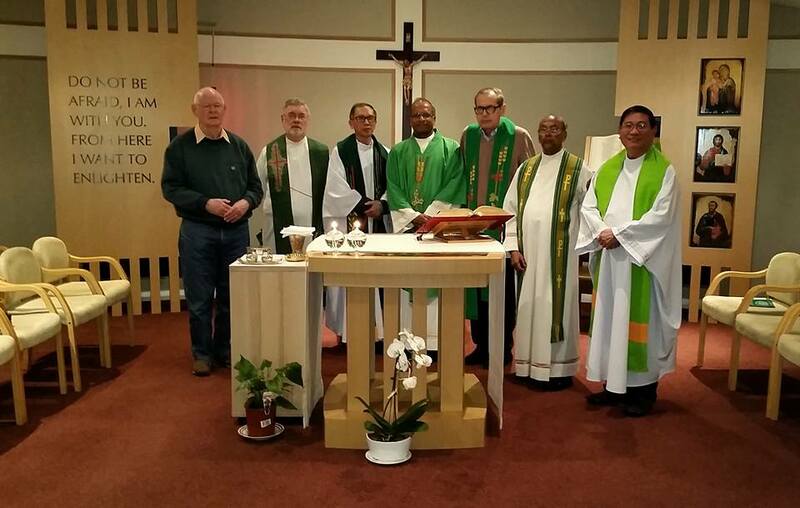 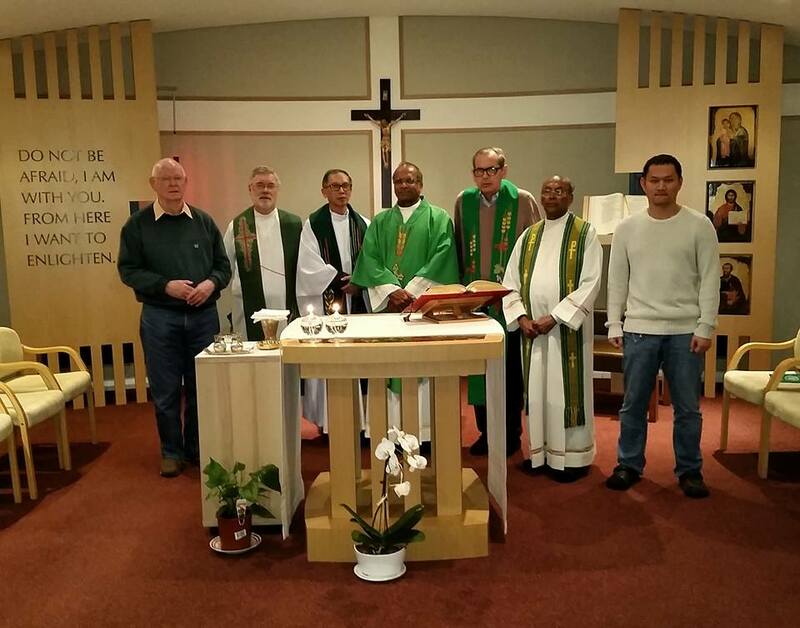 A very special event during the visit of Fr Pottayil was the celebration of the 65th birthday of Fr Ruben Nadalich.